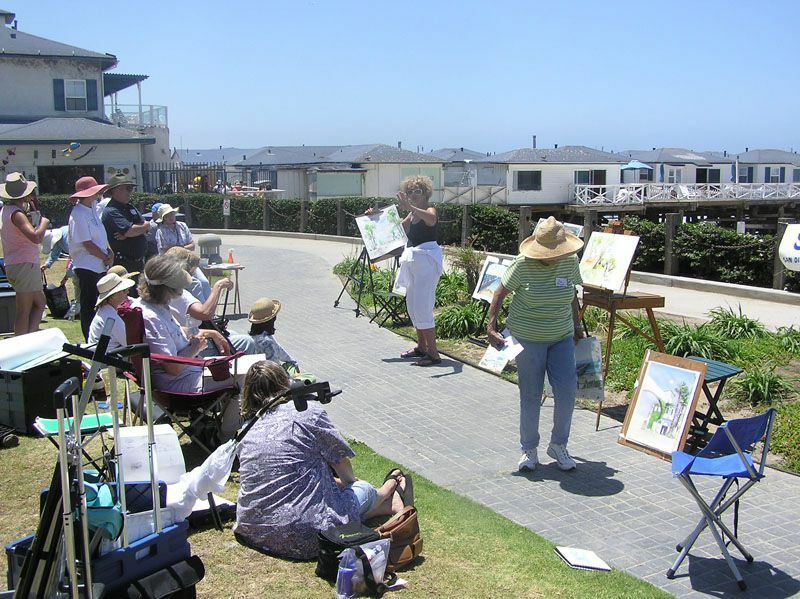 San Diego is the perfect location for plein-air artists. crowds to see one of our artists demonstrate. 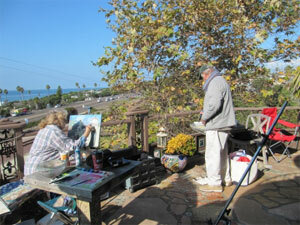 More than 60 times a year, SDWS artists gather to paint San Diego scenes. San Diego's ideal climate and abundant scenery make it a "paintout" paradise. For decades, SDWS has organized paintouts for its members. 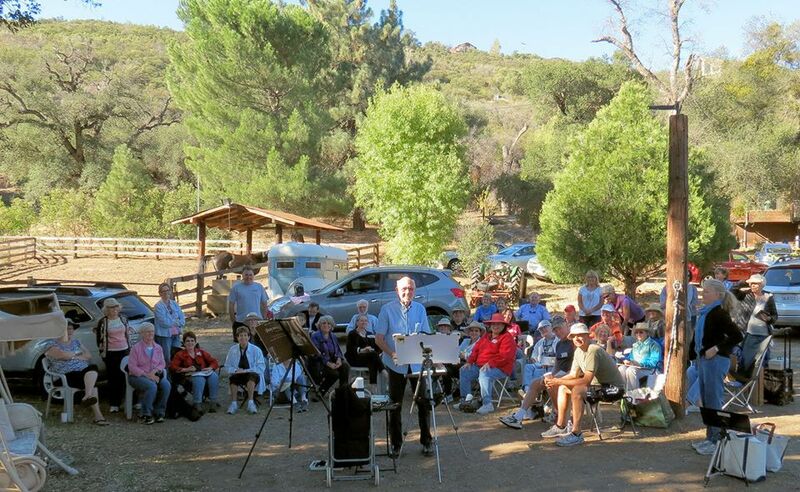 Currently, paintouts are held every Wednesday and on the second Saturday of each month, which includes a demonstration by a well-known watermedia artist as well. SDWS hosts a paintout opportunity on the second Saturday of each month. 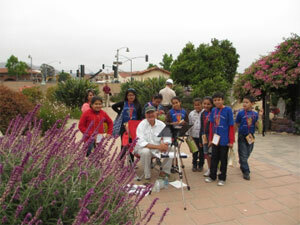 The locations for the Saturday Morning Painters are listed on the SDWS Calendar. All levels of artists are welcomed and encouraged! The more you GO the more you GROW! The monthly Saturday paintout and demonstration begins at 9:30 a.m.. This is followed by free time for painting and a critique by the demonstrator at 12:30. SDWS also has a group of Wednesday plein air painters who gather each week to paint, share ideas and critique each other's work. There is no leader, no roll call, and no fees. 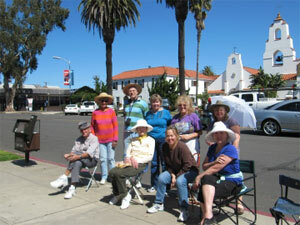 All are welcome, beginners as well as experienced plein air painters. This group meets at 9:30 and then holds a critique around noon. You can find the next scheduled sites on the SDWS Calendar. SDWS has paintouts scheduled most weeks. For event specific descriptions and maps to the paintouts, check out the SDWS Calendar.